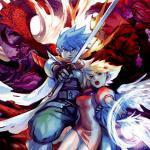 PSP Version Of Breath of Fire 3 Finally Makes It To America I doubt this is an all-time record, but it’s pretty impressive: the PSP version of Breath of Fire 3, originally created in 2005, will finally be sold digitally in North America for PSP, PS Vita and Playstation TV. This marks a little over ten years since the English translation was finished. 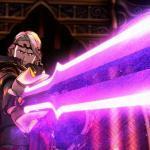 Fire Emblem Fates Will Have Some Scenes Cut From The Western Release The version of Fire Emblem Fates we’re getting next month from Nintendo will be different from the version sold in Japan. It won’t include a sequence where a woman is drugged, for example. Is this censorship of an unsavory societal element that needs attention called to it? Not quite….it’s all about context. In this instance the results are presented as favorable, and that would definitely offend people. A minigame will also be removed that involves petting your characters to make them happy. 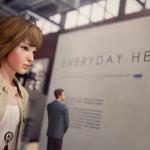 Square-Enix Starts Real Scholarship Fund Inspired By Life Is Strange This week the first season of Life is Strange (you know what’s also strange? 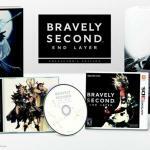 Referring to a video game in “season” terms) was released in physical form for the Playstation 4. The compilation of chapters, originally released digitally in 2015, is offered both by itself (for $29.99) and in Limited Edition form with an artbook and soundtrack (for $39.99, not bad either way). 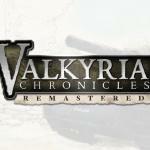 Valkyria Chronicles Remastered Confirmed For Physical US Release! We’ve reported on this game several times, but we could never tell you for certain if Valkyria Chronicles was actually coming Stateside, nor what form it would take. Today Sega launched a trailer confirming its North American release this spring. Not only that, we actually get it in disc form! How lucky are we? 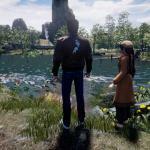 Three New Shenmue 3 Screenshots Uncovered Three new screenshots from the dream sequel Shenmue 3 have appeared at MAGIC Expo in Monaco. As you can see, the environments crafted so far are pretty darn beautiful. Protagonists Ryo and Shenhua, however, are still a work in progress. They’ve been stuck into these environments as static figures, if it wasn’t obvious. I would also guess their faces are still being worked on. 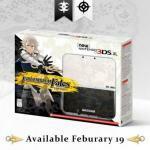 New Fire Emblem Fates News, Including Custom 3DS Nintendo threw some new announcements out to the public regarding Fire Emblem Fates, the new strategy JRPG that’s coming in two different versions. First thing: there’s more! It turns out there’s going to be a third option to this story (besides Birthright and Conquest), but only through DLC. “Fire Emblem Fates: Revelation” has your character choosing neither side and striking out on their own. This extra game will cost $19.99 and require either the Birthright or Conquest cards. Iron Maiden Wants To Make An RPG I don’t mean they want to make the type of gun that’s called an RPG. I mean the type of video game with a linear storyline and menu battling. That RPG. 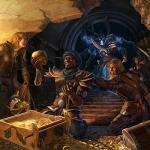 Not only does Iron Maiden WANT to make an RPG, they’re doing it. Their press release came out this morning, describing a smartphone game in which Eddie, Iron Maiden’s mascot, travels through environments inspired by the British band’s album covers. 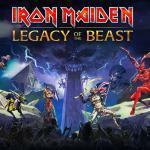 The soundtrack will naturally be a compilation of Iron Maiden’s greatest hits, including five songs that have never been released. 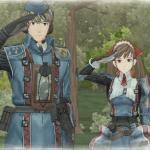 Watch The Valkyria Chronicles PS4 Trailer Here Valkyria Chronicles is getting a much-needed rerelease…..in Japan, anyway. Sega has put out a new trailer for the game hyping its impending console jump to the Playstation 4.